Wedding shopping can drive you insane, especially when you want to pick the best from the lot but the variety confuses you further. 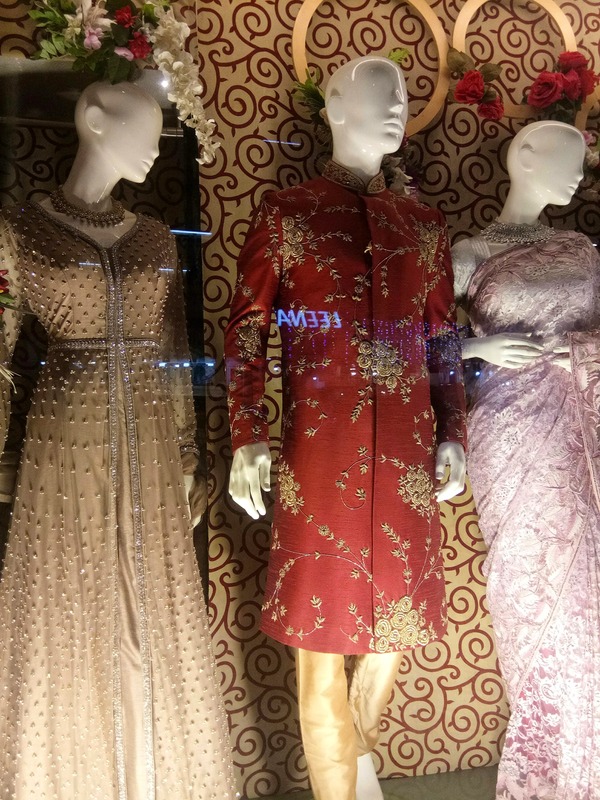 But Suvidha in Dadar, is a complete family shop, for all things ethnic and wedding-wear, and once you take a tour of their humumgous store, you would want to be loyal to it for the rest of your life. On entering, you will see men trying out sherwanis and smiling in front of the mirror, for the good life they're about to embark on, and if you walk further, you will notice a bride-to-be twirling in her 20 kilogram lehenga and blushing. The staff at Suvidha is by far the most courteous and friendly staff we've come across. They welcome you with a polite Namaste, and walk you through the store to explain the categories they have. There's laccha choli, sherwanis, salwaar suits, bridal trousseau, wedding sarees, dress materials, designer suits, and gowns, to say the least. The bridal lehengas start from INR 12,000 and go up to a lakh or eight. And honestly, the heavy work on it demands for a pricing like this. They're gold-beaded or have silver zaris on them. There is also a kids section for you to check out, where the mini sherwanis would cost you INR 2,500 (again, worth it) We can't wait for someone to get married, so that we can make a purchase. Because window-shopping at Suvidha isn't enough.